Dr. White's clinical expertise involves the care of older adults, especially care transitions, long-term care, and post-acute care. 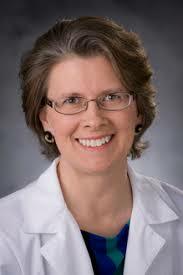 She services as the Vice-Chief of Clinical Affairs in the Geriatrics Division At Duke University. She has worked with peer faculty to develop clinical programs including Peri-operative Optimization of Senior Health (POSH) and Health Optimization Program for Elders (HOPE) which is a transitional care program from the hospital to skilled nursing facilities.